Royal Enfield has invited the international media for the 650 twins’ test ride between September 22 and 28 in Santa Cruz, California in the United States where the global launch could as well be scheduled. 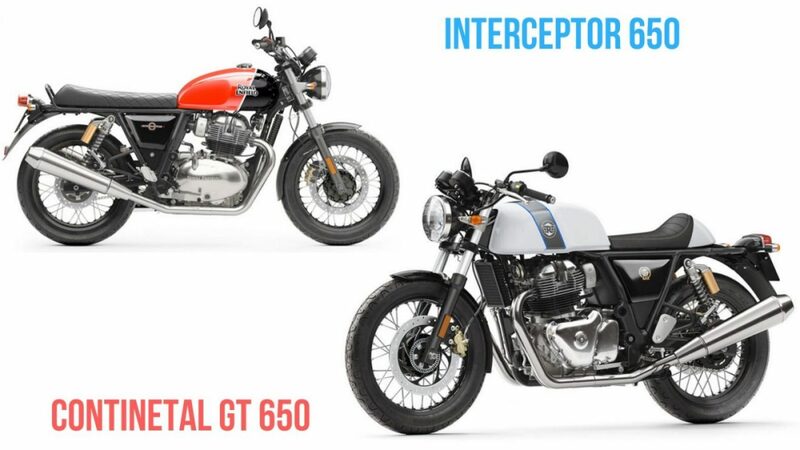 Some media reports claim that bookings for the Continental GT 650 and Interceptor 650 will begin as early as next month in India. Both the motorcycles will likely go on sale in our domestic market by the end of this year or in January 2019. While sharing several underpinnings, the all-new 650 cc models have their own distinctive characters. Having already made domestic debut at Rider Mania in India last year, the Continental GT 650 is an out-and-out modern café racer. The Interceptor 650, on the other hand, is a retro street classic with 7-inch headlight, and teardrop-shaped tank with Monza-style fuel cap. They derive power from a four-stroke, single overhead cam, air-oil cooled, 648 cc parallel twin with fuel injection technology. It is good enough to produce a maximum power output of 47 bhp at 7,100 rpm and 52 Nm of peak torque delivered at 5,250 rpm. It is connected to a six-speed transmission with assist and slipper clutch as standard. Built on steel tubular double cradle frame, they are suspended on 41 mm telescopic front fork with 110 mm travel and twin coil-over shock absorbers with 88 mm travel. Braking duties are performed by 320 mm front and 240 mm rear discs with Bosch’s dual-channel ABS as standard fitment while running on 100/90-18 front and 130/70-18 rear tyres respectively. 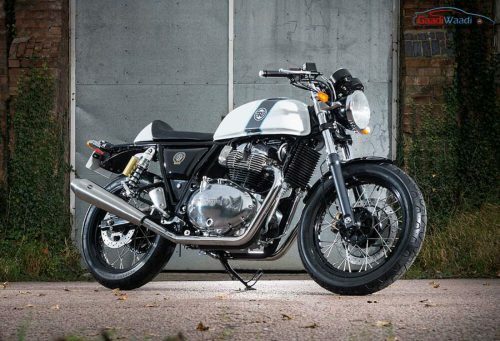 While the Interceptor will compete against the likes of entry-level Harley Davidson Street Rod, the Continental GT 650 will lock horns with Harley Davidson Street 750 and Kawasaki Vulcan S among others. Both the motorcycles are expected to be priced around Rs. 3 lakh (ex-showroom) and have all the ingredients to make a huge impact in the domestic as well as global middleweight scenes.